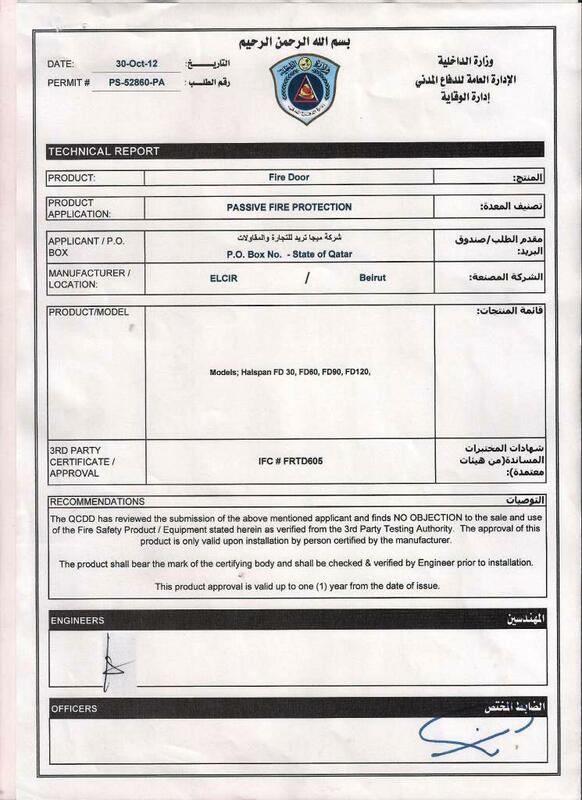 Qatar Civil Defense certficate for fire rated doors. Elcir is licensed by Underwriters Laboratories to manufacture hinged wooden leaf doors for up to 90 mm fire rating as per ASTM standards. Elcir is licensed by IFC to manufacture hinged wooden leaf doors for up to 120 mm fire rating as per British standards.